FRMA (was SB 764): New amendments include required CHL applicants to fire at least 25 bullets before receiving a CHL. 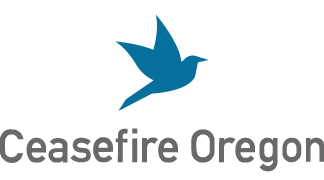 Ceasefire Oregon urges legislators to include marksmanship and conflict de-escalation training. 4-17-17: Hearing in Senate Judiciary Committee but not schedule for a work session. 4-14-17: The -3 amendment was introduced. 4-14-17: The -2 and -4 amendments have been introduced. 4-7-17: Hearing scheduled for April 17, 8 AM, Hearing Room 50, Capitol Building, Salem 2-13-17: Senate Committee on Judiciary 2-9-17: Introduction and first reading. Referred to President's desk. Companion bill is HB 2808. While awaiting a new bill number, we are referring to this bill as FRMA. This bill would change laws regarding concealed handgun licenses and clarify some aspects of the Oregon Firearm Safety Act (SB 941). training in safe loading, unloading, storage, and carrying of firearms. Current law requires all CHL applicants to be 21 years of age. This bill would allow service members who are 18 years of age to apply for a CHL. People who participate in Address Confidentiality or Continuous Traveler Programs would have their privacy protected when applying for a CHL. The bill would extend CHL licenses from 4 to 5 years. Ceasefire Oregon does not support that aspect of the bill. The bill would allow honorably retired parole and probation officers concealed handgun license privileges. Ceasefire Oregon does not support additional exceptions to CHL applicants. Makes reasonable exceptions in SB 941 for gun owners transferring firearms while in the process of preparing to, or completing, hunting or target practice.